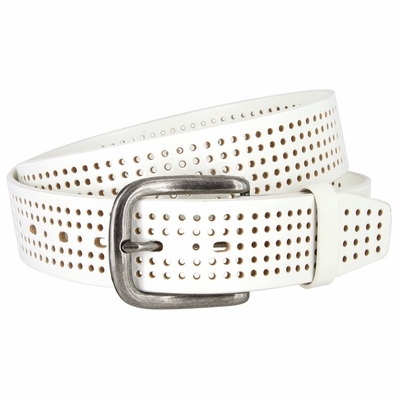 1 1/2" = 38 mm Wide 100% genuine cowhide leather perforated belt. Antique silver round corner buckle. 5 Holes for a better fit adjustment.